Glenn Bird Guitars is an Australian guitar maker based in Corrimal near Wollongong, Illawarra, on the south coast, just south of Sydney NSW Australia. Glenn, an accomplished guitar luthier has been building high end guitars for quite some time now, in fact he made his first guitar in the mid 1980s. Glenn is one of those guitar builders satisfied with nothing less than excellence. 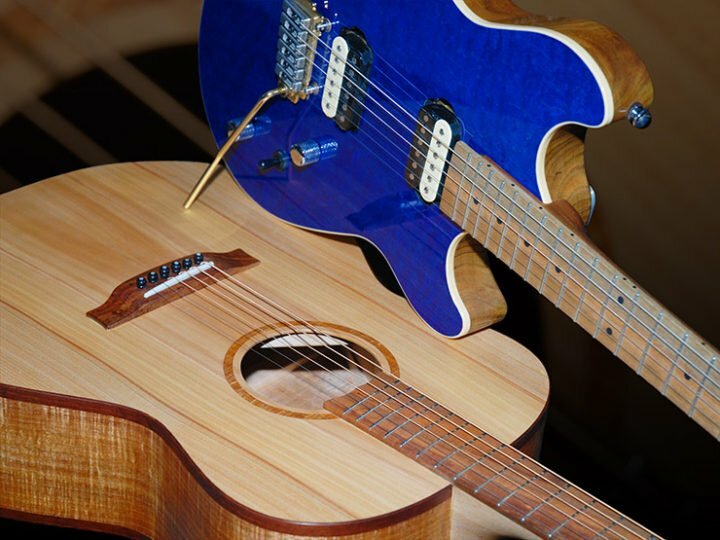 Glenn makes sure he finds out exactly what sort of guitar his customer wants and from the start of the guitar building process he carefully selects the timbers to suit, right down to beautiful exotic timbers used to make decorative inlays and rosettes. Glenn demos the Lil Belle Acoustic guitar which is for sale. Glenn is also a musician of 35 years and gives consideration to such things as the overall weight of the guitar. Glenn’s aim is to make the guitar as light as possible while retaining all of its strength, beauty, feel and natural tone. These are important things to consider before choosing who will build your guitar! If you are going to invest your hard earned money in buying an instrument such as a beautifully handcrafted custom made guitar, you want to be sure it’s going to be everything you anticipated and more. Glenn explains the important distinction between custom and handmade guitars here. You may listen to the sound of Glenn’s guitars in the music played on 7TWO’s TV show The Travel Bug (11:00am to 12:00pm Saturdays). Glenn enjoys talking guitar designs, and would love to hear about your need and interest in a custom made guitar. Please feel free to arrange for Glenn to call you to chat about the many possibilities available for a new hand crafted guitar to suit you. You are most welcome to arrange with Glenn so you can get to visit the guitar workshop and discuss your design requirements in person. Glenn will be very happy to show you around and you’ll be able to view and hear samples of Glen’s work. 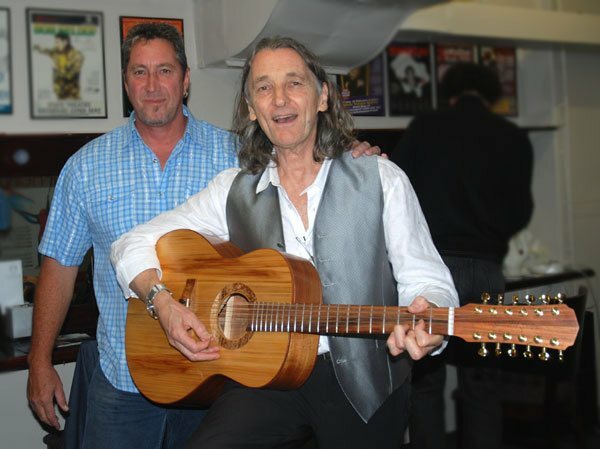 If you wish to own a high-end guitar, crafted with great passion, care and attention to detail, consider Glenn Bird as your guitar luthier. To contact the guitar maker directly, phone Glenn on 0418 476 272 or 02 4283 4224 or use the email form on the contact us page.